S is for simple, solution or smart, but one thing S will never stand for is sacrifice. Designed specifically for those looking for solid, commercial quality operation at an exceptional value. 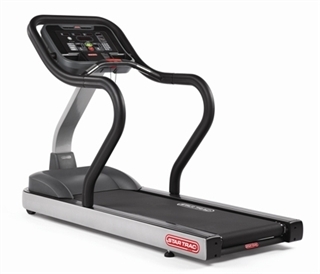 The S Series Treadmills deliver on all of the quality you expect from Star Trac with features and a sleek design that set it apart from the competition. The S-TRx comes pre-wired for the optional Star Trac entertainment solution which includes a 15-inch personal viewing LCD screen, custom bracket and control panel integrated into the display. 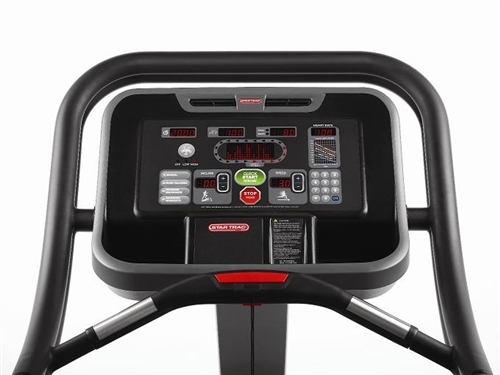 Larger buttons and fewer scrolling letters for easier viewing along with Star Trac’s popular personal cooling fans, multiple cup holders and 13 user-specific workout programs round out the feature set of the S-TRx, a treadmill that provides the ideal option for your workout experience. Pre-wired for S Series PVS entertainment system.